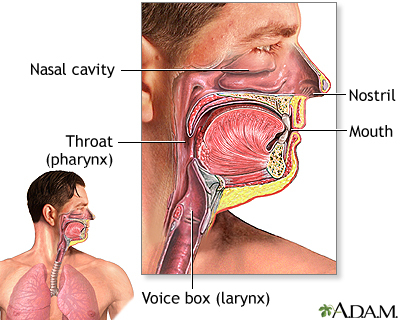 The major passages and structures of the upper respiratory tract include the nose or nostrils, nasal cavity, mouth, throat (pharynx), and voice box (larynx). 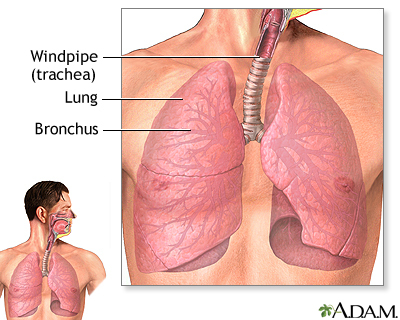 The respiratory system is lined with a mucous membrane that secretes mucus. The mucus traps smaller particles like pollen or smoke. Hairlike structures called cilia line the mucous membrane and move the particles trapped in the mucus out of the nose. 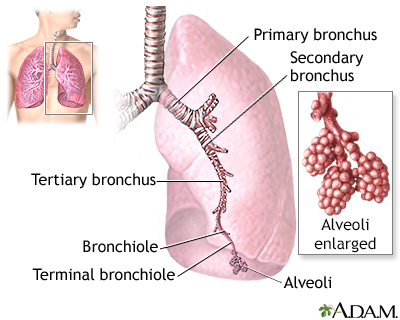 Inhaled air is moistened, warmed, and cleansed by the tissue that lines the nasal cavity.